Take the finely powdered henna in a medium-sized bowl and squeeze out the juice of the lemon into it. Then, add the fresh yogurt to these ingredients and mix everything well with the help of a spoon. Prepare a smooth paste, which is neither very thick nor too runny, and make sure that there is no lump in it. Now, apply this hair pack from the roots to the ends of your locks and wait for half an hour. Wash off with fresh cold water and get a dandruff-free beautiful hair. Take the henna powder in a large glass bowl and squeeze out the juice of the lime into it. Pour the rest of the ingredients like olive oil, white vinegar, crushed fenugreek seeds and yogurt into the bowl one by one. Blend them well by using a wooden spoon and place the bowl aside. You need to leave the mixture in such situation for the night or at least for 12 hours. After that, apply the paste to your hair so that your scalp is covered thoroughly. Wait for 2 to 3 hours and then, rinse with a mild shampoo to drive your dandruff away. Take the henna powder in a bowl and mix the aritha powder with it. Pour the curd into the powder mix and combine properly with the help of a spoon. It should form a smooth paste with no trace of lumps. Now, cover all your hair with this pack and wait for at least 30 minutes. Finally, wash it off by using a gentle shampoo and see the difference! • Mustard oil – 500 ml. Start with warming up the mustard oil by pouring it into a pan and placing the pan on the heat. Once it reaches the smoking point, turn the gas off. After a few minutes, add the fresh henna leaves to the pan along with the fenugreek seeds. Wait unless and until the soaked henna leaves get a new color. It generally takes quite a few hours. However, you should set the pan aside for the whole night and filter the oil next morning to get the most out of it. Massage your hair with it regularly. After an hour or so, rinse off with a mild shampoo. Whip up the egg whites at first. Now, take a medium-sized bowl and put all ingredients, such as henna powder, olive oil and egg white in it respectively. Also, add water to the bowl and prepare a smooth paste. 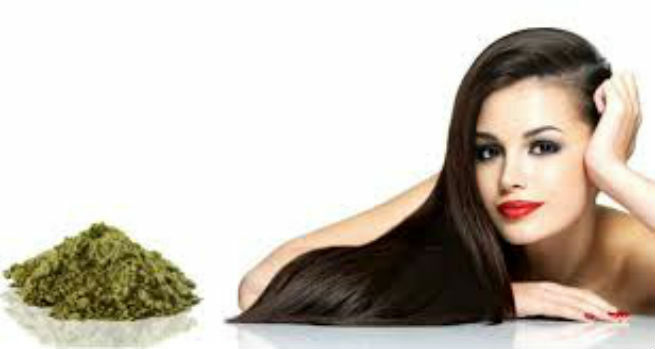 Apply it on all your hair from the roots to the tips and wait for half an hour. Then, wash off with a gentle shampoo and fresh cold water to discover dandruff-free lustrous hair.